Our law firm provides examples of verdicts and settlements for both to pedestrian crash victims and fellow lawyers an opportunity to get a feel for the value of these cases. But keep in mind that every case is different, and one does not predict the outcome of another. You can get verdicts and settlements from our law firm, Miller & Zois, here. February 2014, California: $150,587 Verdict: A woman was crossing the intersection of Olympic Boulevard and Colby Avenue in West Los Angeles. While crossing, she was struck by the front fender of a sport utility vehicle and fell. She was taken to a local emergency room via ambulance where she was diagnosed with left elbow and hip contusions. After she had been released, she began treatment with a chiropractor for four months for neck pain. She felt she was not experiencing beneficial results from the chiropractor and was referred for an MRI. The MRI showed significant pre-existing bony degeneration and was then referred to a pain management specialist who administered three facet block injections. Once more, she felt the treatment was not showing positive results and visited a neurosurgeon for treatment. The neurosurgeon elected to perform a cervical discectomy and inter-body fusion. The woman sued the driver, who was insured by State Farm, for negligent operation of his vehicle. The defendant admitted fault for the accident. The matter continued to trial where a Los Angeles County jury found for the plaintiff of $150,587 for total damages. February 2014, California: $223,298 Verdict: An elderly woman was walking on Stoneybrook Drive in Sherman Oaks. While attempting to cross a driveway apron, she was struck by an SUV that was backing out. The car consequently ran over her right ankle and fractured parts of her lower leg. She was taken to an emergency room via ambulance where she was treated for fractures to her lower right tibia and fibula. Upon release, she was referred to an ankle specialist who fitted her with an Arizona brace. About eight months after the occurrence, the woman fell and fractured her pelvis. As a result of her injuries, she was no longer able to perform daily activities and was forced to retire from her job as a housekeeper. Before her injuries, she was suffering from a mild cognitive impairment that seemed to have worsened after her forced retirement. She sued the driver and his insurance company, Allstate, for motor vehicle negligence for failing to make sure the area was clear before backing up. Unfortunately, by the time the suit reached trial, the plaintiff was diagnosed with dementia and was unable to testify. Plaintiff’s counsel claimed that she would require the use of an Arizona brace and cane for the remainder of her life. They also claimed that the woman’s fall in the eight months after the accident was due to her injured ankle and had she been able to continue working as a housekeeper, her cognitive impairment would not have worsened to dementia. Defense counsel contended that the plaintiff was comparatively negligent as she did not see the SUV before the impact and was wearing a Bluetooth headphone in her ear. While the defense counsel did not dispute the extent of the woman’s ankle fracture, they did argue that the fall and pelvis fracture that occurred eight months after were unrelated. They argued the later injuries were due to a pre-existing arthritic knee condition. A Los Angeles County jury found the defendant 72.5% at fault for the accident and the plaintiff 27.5% at fault. After comparative liability offset, the plaintiff was able to recover $161,890.83 of the initial $223,297.70 award. January 2014, Illinois: $250,000 Settlement: A 62-year-old attorney was standing in the parking lot of a restaurant. From what seemed like out of nowhere, he was struck by a man’s vehicle backing out of a parking spot. Although an ambulance was called to the scene, the man who was struck refused to be taken to an emergency facility. Later that same day, he elected to visit Advocate Lutheran General Hospital in Park Ridge after he began to experience pains in his right shoulder. One month later, he underwent an MRI and was diagnosed with having sustained a tear to his rotator cuff in his right shoulder. One year later, he underwent a procedure to repair the torn cuff. Before the surgery and the months following, he received physical therapy treatment. The man sued the driver for motor vehicle negligence, claiming that the defendant failed to maintain a proper lookout and failed to avoid a collision. The defendant, insured by Allstate, argued he did not see the plaintiff standing in the parking lot. He argued that the plaintiff was negligent in failing to maintain a proper lookout while walking in the parking lot. He claimed the plaintiff should have seen his vehicle coming and should have been able to avoid being struck. Defense counsel also disputed the extent of the plaintiff’s injuries, arguing that the damages were basic wear-and-tear and not caused by trauma from the accident. The parties agreed to settle one week before the scheduled trial date for $250,000. January 2014, Texas: $290,000 Settlement: A disabled man was riding his mobility scooter across Old Betsy Road at its intersection with FM 2280 in Keene. He began to cross the intersection with the light when he was struck by a vehicle attempting to make a left turn. He was rushed via ambulance to a local emergency room where he was hospitalized for a week. During treatment, he was required to undergo a surgical replacement of an internal hardware on both his femur and tibia. Both bones had been fractured once before before the accident. After the man had been released from the hospital, he was transferred to a nursing home facility. He filed suit against the driver but unfortunately, died shortly after that of unrelated causes. The matter continued with his estate serving on his behalf. Plaintiff’s counsel claimed that the defendant, insured by Metropolitan Lloyds Insurance Company, failed to keep a proper lookout while turning, causing her to strike the decedent. Defense counsel argued that it would have been impossible for the defendant to see the man before turning. The parties chose to settle prior to trial for $290,000. January 2014, New York: $900,000 Settlement: A 70-year-old retiree from Queens was struck by a vehicle while he was attempting to cross Hillside Avenue near its intersection at 199th Street. He was quickly transported to Jamaica Hospital Medical Center by ambulance where he underwent treatment for a fracture of his right leg’s fibula and tibia and fractures of 6 ribs. He sued the driver and his insurance, GEICO, for negligent operation of a motor vehicle. 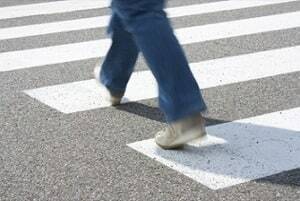 Plaintiff admitted that he was crossing outside the designated crosswalk, but also claimed that the defendant should have yielded the right of way. He claimed that he has yet to regain full functionality of his leg and that it will only worsen over time. Defendants noted that the plaintiff was intoxicated during the occurrence and with a BAC of 0.24 and claimed that he was partially responsible for the accident. The parties came to a settlement agreement for $900,000. There a Secret Settlement Formula in These Cases?